Aidan’s Toy Trove eBay Store – Buy One and Get One 15% Off! Applies to all Fixed Price Listings in the store. This offer can be stacked multiple times in one order. You must use the Add To Cart feature for the discount to be applied. Excludes Best Offers and auctions. Sale ends November 27th 2016. Aidan’s Toy Trove Website Store – 10% Off Your Entire Order when 2 or more items are purchased. 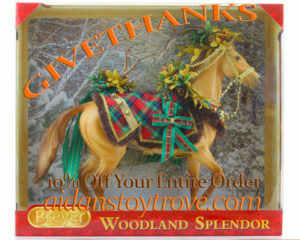 Coupon Code GIVETHANKS. Coupon expires November 27th 2016. « Custom Ruffian By Unknown Artist On eBay – Can You Help?